The Slowly Boiled Frog: Just how many "homosexual activists" are there? Homosexual activists and their allies continue to weaponize social media to go after anyone who doesn't endorse their sin and lifestyle choices. Kym Duarte, a legal assistant in Georgia, contacted OneNewsNow to tell her story of online bullying on Facebook. The harassment began, she says, after she offered to help a domestic abuse victim named Melissa. A second woman named Paula was helping Melissa, too, but demanded to know Kym's views on homosexuality since Paul has a homosexual son. Presumably the character named Paul in the last sentence is actually Paula. Although her LinkedIn profile has been deleted, Duarte is apparently employed by Turner Broadcasting. Mr. Jordahl fails to mention that she is affiliated in some way with a church (according to her Facebook post). None of the above makes a whit of sense because we do not know how these people came to help Melissa independent of each other. We do not know what help they offered or how that help was received. In these circles “I will pray for you” counts as help. Unashamed of her biblical views, Duarte called it a sinful act. And then the harassment began – and never stopped, she says. "That is when Paula began to block me from everything. She then began to stalk me on social media," says Duarte. "On Facebook, she started copying and pasting things that I was posting on other sites." Duarte tried to get help from Facebook, without success, by reporting Paula's actions again and again. I have never figured out Facebook — and never will. I gather, however that about the worst thing that Paula could do would be to “unfriend” her. Again, I decided years ago that Facebook was a privacy problem. I have a presence but I very rarely visit the site and I have no clue how it works. Paula, it's alleged, has a bullying crowd of homosexual allies that joined her cause – supposedly in the name of tolerane <sic>. The claims don't end there. The women's shelter is operated by Bruce Dutton, a Christian who also holds to a biblical view on marriage. What exactly is it that these people are doing to poor Kym? Women's shelter? What women's shelter. Is Mr. Jordahl on some kind of medication? Aside from desperately needing to re-read his posts before publishing them, if he is going to mention the shelter, it has to be preceded with some information about what he is referring to. Is Melissa in a women's shelter? And who cares what Mr. Dutton thinks about marriage? He tells OneNewsNow that he started getting threats from Paula, too, who made accusations against him that were serious enough to derail his life and his livelihood. They were also lies, he insists, including claims of an affair with the battered woman, Melissa. This has an air of inoculation but I am just guessing. Where, by the way, are these “homosexual activists?” How would Paula even know Dutton's views on gay people and why would she even bother? Has Mr. Jordahl attempted to contact anyone else like, say, Melissa? The ellipses at the end of the paragraph are in the original piece. I would like to understand just how the facility is being jeopardized. Presumably Mr. Dutton is an employee of a nonprofit organization which really operates the shelter. What, exactly, do these people find so scary? 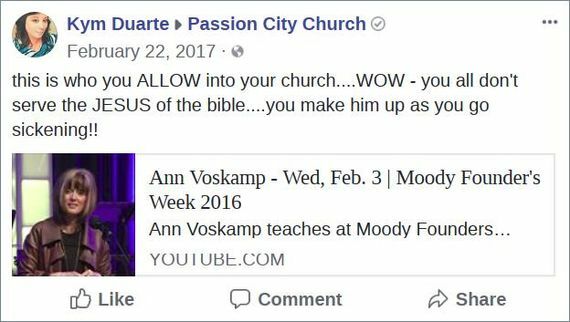 Duarte and Dutton both contacted Pastor Rich Penkoski who, as reported on OneNewsNow, has endured repeated threats and harassment from homosexual activists. At long last we get some of those dreaded “homosexual activists.” Of course they have nothing to do with the story about Kym, Paula and Melissa. I am guessing that there is more to this story. Meanwhile Penkoski goes through the usual litany including the obligatory death threats. It turns out, though, that Penkoski is a piece of work. Penkoski is suing Facebook because they banned him for hate speech. Get this. 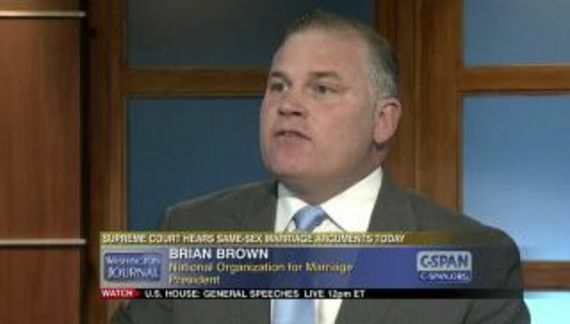 He is also suing the State of West Virginia in an effort to halt the issuance of marriage licenses. Apparently Penkoski has a taste for negative attention. I cannot find the Facebook case but in Penkoski et al v. Justice et al he actually has a pro bono lawyer, one Cynthia Burris of the William D. Lynch Foundation for Children which is a small operation in California. Talk about bad judgment. But do keep those “homosexual activists” coming. It seems to be a conservative Christian fetish. Perhaps it is aligned with an insatiable desire to be perceived as victims.